Posted November 2, 2018 by Dr. Dan Santangelo & filed under . Tessa brings a long tradition of community and talent development some 28 year in credit unions, and 18 in credit union leadership roles. She is currently CEO of Denver Community Credit Union, has served on the Denver Area Chapter Board. Tessa has overseen branch operations, developed a mortgage CUSO, and serves as an Association Legislative Coordinator. 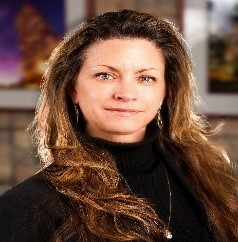 Tessa holds a Bachelor of Science in Business Management and is a graduate of the Mountain West Credit Union Association Chief Executive Institute and several CUNA and CUES training programs. Tessa will the assume the board seat of our long admired Carla Hedrick. Carla served twice on the Foundation board once, before it was merged and once after. While we will miss Carla’s quick wit, dedication to credit unions and much more, we are very excited about Tessa joining the board, and which to offer our sincerest congratulations.